As well as buying the bath bombs from Genius (blog post here) I also decided to pick up a candle that was only £7 and is adorable! The candles in this shop were all very personalised and very cute and all came with little hearts in the wax (which I loved). 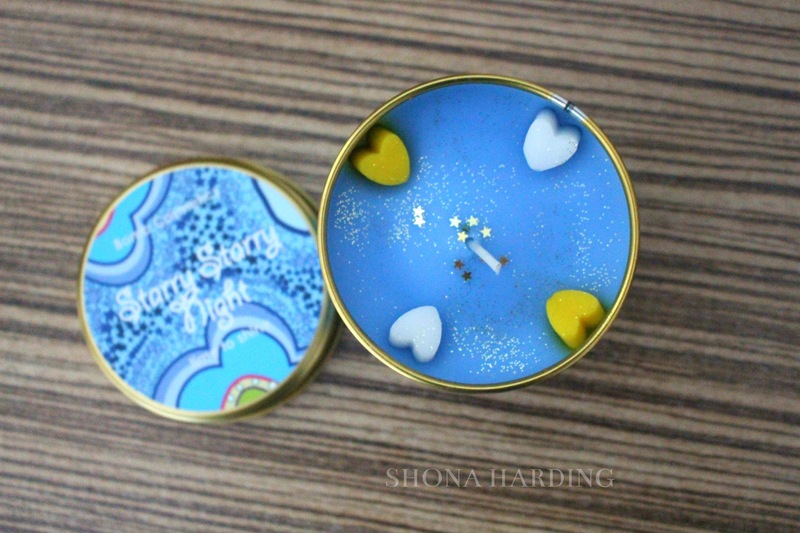 I decided to go for Starry Starry Night because it came in an adorable little box that the candle is kept in. Didn’t I say the little hearts are adorable?! 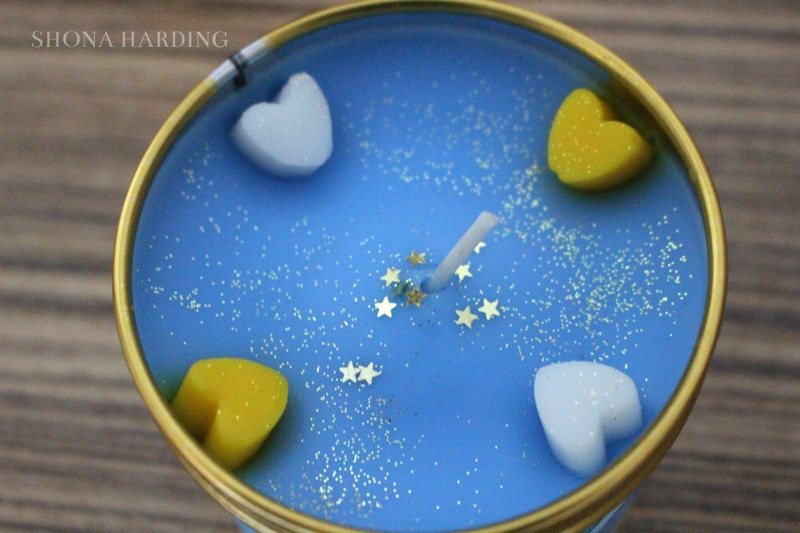 The candle inside is blue with white and yellow hearts and some glitter on the top. 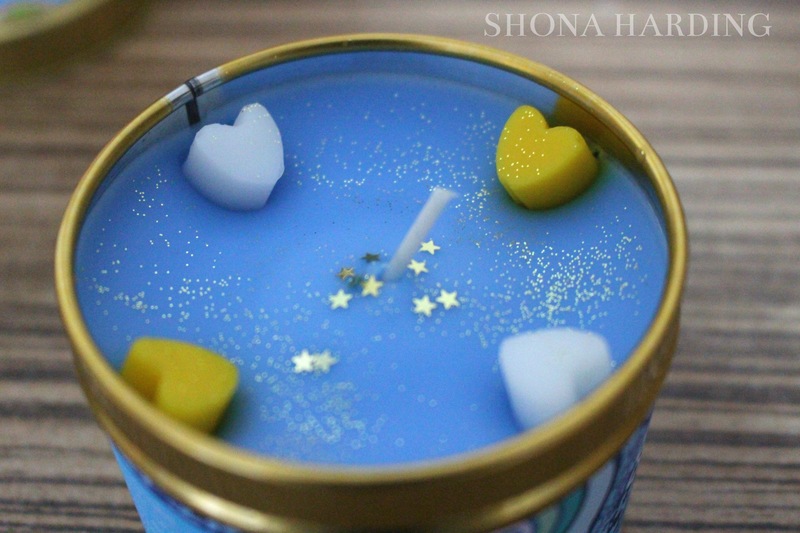 Now, most of the candles didn’t have glitter so this is why I was so drawn into this one! Just imagining it burning in the evening sounds so cozy! 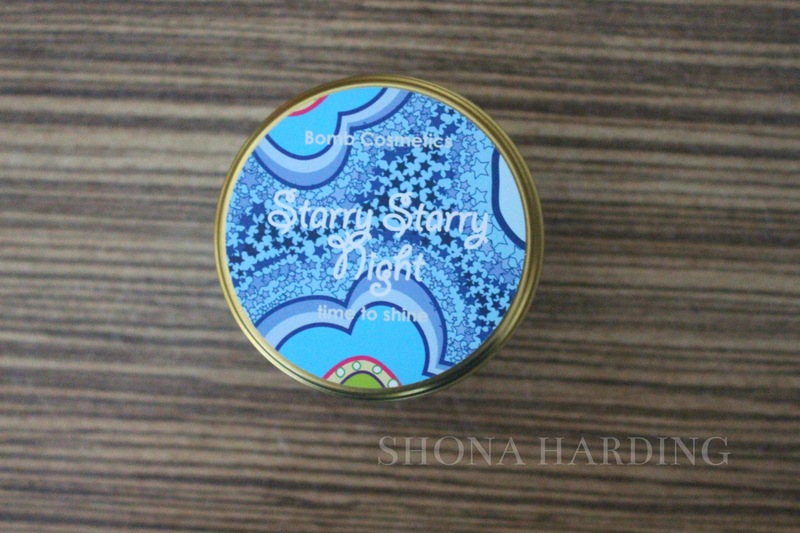 This candle smells amazingly fresh and I can tell will help me sleep in the evenings. What is your go to scent for candles? Make sure o check out the Genius shop online! I am in love with their stuff and it all seems so cheap for what you get it’s amazing!